When I moved into my office at KLRU, I was greeted by the constant hum of construction noises in the courtyard outside. Crews were pouring sidewalks, planting trees and giving the place a much-needed facelift. At first, I was annoyed. It was a distraction to write and edit with a bulldozer below my window. I quickly considered my position here and smiled. I’m heading up a whole new journalism and public affairs initiative. We are “under construction”; building new ways to cover our community and engage our viewers. Reporting and investigating issues that truly matter is rarely quiet and calm. News is noisy, necessary work. 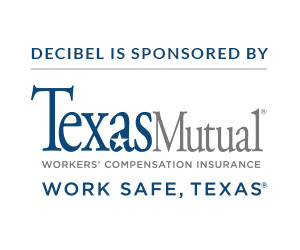 We are calling KLRU’s news and public affairs commitment, Decibel. Decibel will amplify stories and issues important to Austin by listening to the community and encouraging dynamic discussions. Right now, the integrity and authenticity of journalism is under fire. As someone who has been part of this profession for 35 years, I’m incredibly troubled by the term “ fake news” and the attempts to de-legitimize the vital role a free press plays in a democracy. It’s not a perfect profession, but solid journalists search out the truth. That’s our job. That’s what we will continue to do, every single day. At Decibel, we will not take your trust for granted. We have the honor of being part of PBS, an already trusted news institution. We hope you will follow our Facebook page. This is where we share our stories, our live interviews and our community conversations. As always, we welcome and invite your comments and thoughts. We want our work to reflect the issues in this community that you care about.